itsAlyx: WIWW. Einstein Invented the Lightbulb. Living Real Life. WIWW. Einstein Invented the Lightbulb. Living Real Life. So I really wanted to tell this funny story about my dad and Einstein, but he told me I'd be out of the will if I blogged about it, so that "dadism" will just have to be left out. It's too bad, really, because it's a pretty funny one. I have to tell you guys something about blogging. It's something I'm sure you all know, but I want to take a minute to say it anyway. I don't want you guys to leave comments telling me I'm awesome - this post is not me fishing for compliments - I don't want them. I just want you guys to know how I've been feeling lately - why my posts have been lacking in real content and feeling lately. You see, I got caught up in it - the race for followers, wishing I took exotic trips and had lots of money to host giveaways, hosted link-ups where hundreds of people stayed up until midnight to get their link onto my blog first - I felt inadequate. I got discouraged. I began to look at my own life and think that I was boring, that the things that I do are not good enough. Then do you know what happened? I got a slap in the face. Mike (wonderful blogging husband that he is) could tell something was up and asked me about it. I complained to him, telling him about all those bloggers whose blogs make me feel like crap about myself, and do you know what he said (more or less)? You see, the thing about blogging is this - we share what we think other people will like about us. We pick and choose what the rest of the world sees. In real life, though, I'm blessed. I have a loving family, I have a roof over my head, clothes on my back, a full-time job, and food to eat. I have a real life, and I'm living it. If I don't have a blog post up every day, it's not the end of the world. If someone else has better pictures, better clothes, gets to go on cool trips, or more money, good for them. We all have different lives and different opportunities. You know what that means, though? It means that we all have different struggles. We all feel inferior at times - it's not just me, and it's not just you. It's all of us. So. If you start to forget that blogging isn't life, take a step back, and go live your real life. It'll make you feel better. Did your dad's daddism have anything to do with Einstein NOT inventing the light bulb??? 'Cause I can tell ya, Edison invented that. You look cute and comfy as a button. Is a button comfy? Cheer up - - - you have over 700 followers and I've been blogging since 2006 and I don't even have 300 yet. It's all good. Amen! Seriously, if we all blogged about real life it would be boring and mundane. "So, today I went to work today. Then I came home and ate half a box of biscuits. Then I folded the washing. Then I ate my spaghetti bolognaise again for dinner etc etc". I always remind myself that a blog is the highlights of a person's life...well, my blog is certainly about the highlights. Sometimes we choose to write about the struggles, but I actively choose not to write about the mundane parts of life because they are just that...mundane. I think it is healthy to take a break from blogging, which is something I need to start doing. I thin we are all guilty of getting caught in the blogging trap (I am currently trying to fight the urge to push for the 100 follower goal...I'm so close!). Sometimes it is good to tell your self no, shut your laptop and actually live life. Please don't feel inferior. I think you're the bees knees- with all your flaws and mundane parts of life and photos that aren't top quality! Amen, girl. Listen, if you ever want to make yourself feel better, head over to MY blog! I have 8 followers. Eight. Eight. That's not even two hands full. LOL. And I try to give people a glimpse into my every day life, but he's right... you do pick and choose. I LOVE YOUR BLOG!!! Amen!! Have a good week Alyx. We all need that slap in the face sometimes. We get down, we feel inferior to other bloggers...more often than not. That slap is needed! I have had those days. All that extra stuff is nice to have but it's not what blogging is about. Blogging is about writing about what you want to write, what you love and enjoy, what inspires you and sharing it with others. Amen to what Daryl said. And, this was a big reason for my switch to WP. Besides to learn selfhosting for a resume builder, you get rid of that dumb GFC followers game. 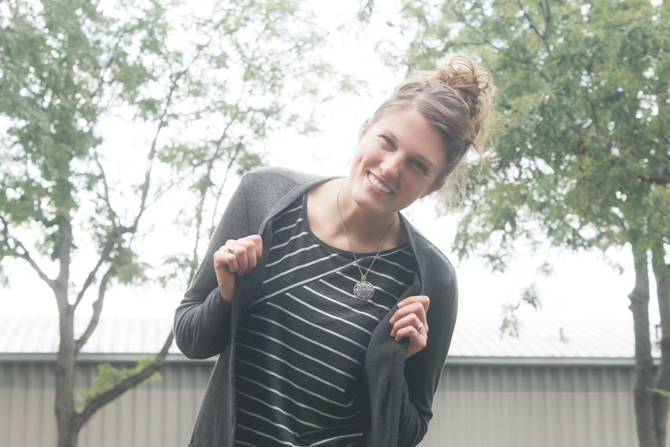 Since the move, I feel like more than ever I blog purely for myself. I still not sure why you would ever feel inferior as a blogger. You are the broccoli in my salad bar of blogs I read. I honestly love what you have going here. Those blogs with 5000 followers, taking "amazing" trips, and always having "great" content can be pretty boring for me. Hooray, you are interesting on your blog. Big whoop. In real life, you're probably staging every single moment of your life, taking so many pictures that your family hates your camera, and spending more time than you would care to admit in front of your computer. All for what? How many of those followers are you able to interact with on a personal level? Just some things I remind myself when I'm getting down on my numbers... because really, I'm so blessed by the people I've met through blogging, and their stories, support and friendship. Not the number of people who click "follow" on my blog and disappear into eternal anonymity. I miss you. We must GChat soon. OR....let someone slap you in the face :) I kid...I kid! It's so easy to get caught up, but you're right--it's not life. "you are the thief of joy!" Sorry I just had to throw that in there:) I love how honest you are, and your personality and humor is way cooler than a giveaway or fancy trip:) being poor is way more fun anyways right!!! The thing is... there are real bloggers and there are not so real bloggers. I get so mad when I read a blog and EVERY SINGLE DAY of their existence seems perfect. I know it's not. It can't be. But they portray only the good stuff. I love blogs in which I know that the writer is being real. Of course they aren't sharing 100%... there is no way to put 100% on a blog. But at least they share the good AND the bad. Those are the ones I come back for day after day, because they feel more like friends than some person up on a pedestal. Blogging is definitely not real life. Though I do feel like the bloggers I most enjoy reading (yourself included) keep even the curated parts real (in their own voice, showing their goofier/less perfect sides, etc.). As with most things in life, it's a balancing act. I think you're doing a fine job. Also, I love your outfit. You are awesome, Alyx. You have no reason to worry about anything. We all love you and always will. Let's save up and go on an exotic trip together...in like 50 years!!! I think you're pretty great Alyx. It is good to step back and go...ok, what's really important? !...and I think everyone has those moments! Amen sister!!!! I hear you 100%. There are only a few people out there you are/do all these things you mentioned... The rest of us just have to do the best we can and have fun with it. spot on, alyx. all bloggers should take time (monthly? weekly? daily?) to GO LIVE THEIR LIFE. It's easy to get caught up in it all! How'd Mike get so smart? I've gotten into this funk on occasion myself... In fact, I was totally grappling with it over Labor Day weekend because I kept seeing other bloggers posting these amazing photos of the fun things that they were doing with their weekends... and while they might not have been travels to exotic lands (though, now that I live in NYC, I sorta consider anywhere with trees to be an "exotic land") it seemed like everyone else was having way more fun than I was... and it was SO hard not to beat myself up over it.... and I had planned to spend the whole weekend writing and blogging, and when the time came... You know what I did? Sleep. I've slept more in the past five days than I've been awake... but I think I needed that. And you know what... that's fine. I need to do what *I* need to be doing, and not worrying what everyone else is doing and how that compares. First, I love the outfit! I can't wait to Texas to cool down so I can start wearing leggings again (that'll prob be in like DECEMBER) Also, I love love love your blog :) Don't feel sad! Fav moment in the Hangover, hands down. I hate when the blogging world gets me down. I just take a break until I'm ready to get back to it and usually by then, my spirits are back too. Good reminder though, for sure. Number 1 = CUTE outfit! It looks so comfy and "fall-ish". Number 2, I love this post! It's hard not to get sucked into the "how many followers do I have?" routine. You just have to remember why you started blogging in the first place! I know you said that you weren't looking for compliments, but I have a secret for you. One time I DID stay up until midnight so I could link up to your confessionals post. And guess what, ooooope, doin' it again on Sunday. Post is written and everything. Bam. Thanks for the reminder.. I think we all tend to compare and I'm glad you shared this because I've been doing it a lot lately. Also, great outfit! It looks so nice and comfortable. I love the top. Best. Post. (of the week!) This is something I think every blogger has experienced at least once and it is definitely nothing to be ashamed of. Unless a person isn't able to snap themselves out of it.. I really felt like i needed to hear this. I so often get caught up in the blogging world that forget it's not real life. Thanks for sharing! Need to constantly remember this. have a great night! drop by nichollvincent.blogspot.com and say hi! this is great. as you can see a lot of ppl feel the same way. it's nice to be reminded of that. i just adore that quote. 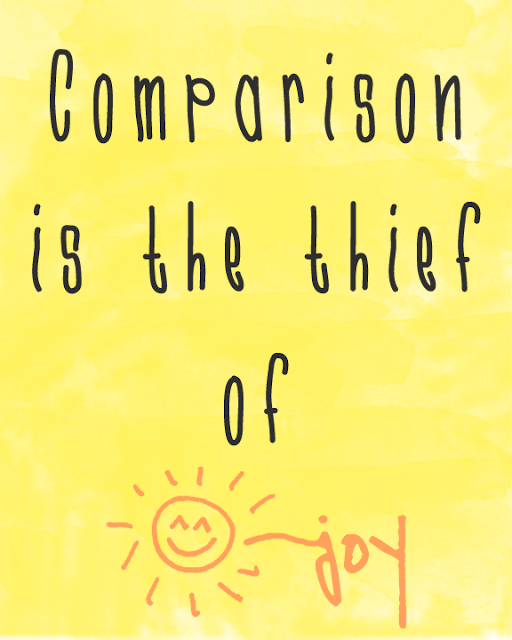 "comparison is the thief of joy". so true! we, as bloggers, need to stop comparing ourselves to all those bloggers who "seem" to have it all. because that's what it is - the things that they are showing us. we all have our issues, our bad days, those things that are not so good. you don't want complement but still you have it. the outfit is very cute and comfy. I already see you running the errands in it - stylish and confident. 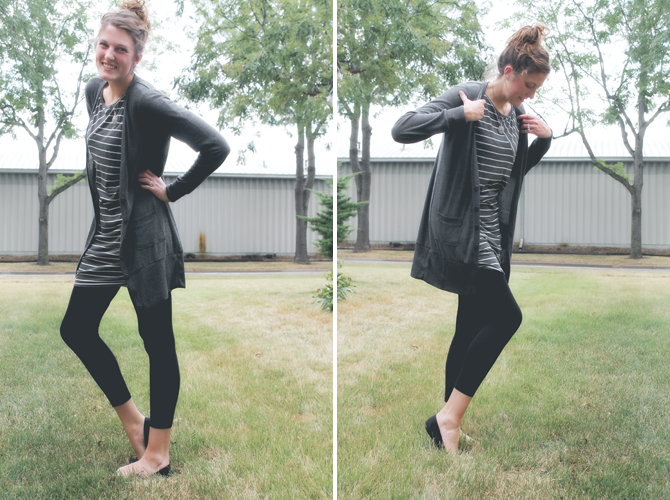 I could steal your cardi - it's perfect for me! P.S. I'm very much agree with your words but in fact I love people being different in 'blogworld'. I probably never get to where you are and you on the contrary never get to see-do what I do. We are not super-bloggers that's true but is it out goal? I don't think so. P.P.S. I've never thought reading someone blog for the first time would bring me so many emotions. wow. thanks for that. I have just discovered your blog via Roots, Wings and Other Things and I have to say its refreshing to see honesty like this. Just recently beginning a blog myself I get really discouraged about the amount of followers, if my blog looks good enough, am I being interesting enough act so its great to see other people have those worries to. AMEN! I often wonder what the really big bloggers lives are really like. Sometimes I think, "wow how do they so much with all the other necessary things that have to be done?" Yes, there have been a few times over the past year and a half that I have felt inferior, but DH pulls me out again.